Willem Toet, BMW Sauber's head of aerodynamics, is not what you would call one of life's more conservative people. Famous as much for his wildly extravagant bow ties as for his work on F1 cars, Toet has recently taken up extreme downhill mountain biking in his now native Switzerland to get a few extra kicks. Yet even by his standards of boundless enthusiasm, Toet was convinced that an idea he had for the Hinwil team, when he joined them at the end of 2005, would be rejected on the grounds of it being just too outlandish. As BMW started laying foundations for the future, following their takeover of the Sauber team at the end of 2005, Toet wanted the German car manufacturer to take a path that no other team was considering. Just as some of BMW Sauber's rivals were putting their finishing touches to new state-of-the-art wind tunnels, Toet was convinced that a second facility would be a waste of time and money for his team. Instead, he believed the future lay in computer simulation, and he wanted his team to commit to a future based around Computational Fluid Dynamics (CFD). "I was probably one of the first to think that the technology had swung and we commit to it," said Toet about his vision of a simulation-based future. "I tried to sell that vision to the chiefs, and at the time I thought my boss (technical director) Willi Rampf would say: 'Willem, you are nuts. We will just build another wind tunnel and be done with it.' But luckily I wasn't the only one who said we would commit." 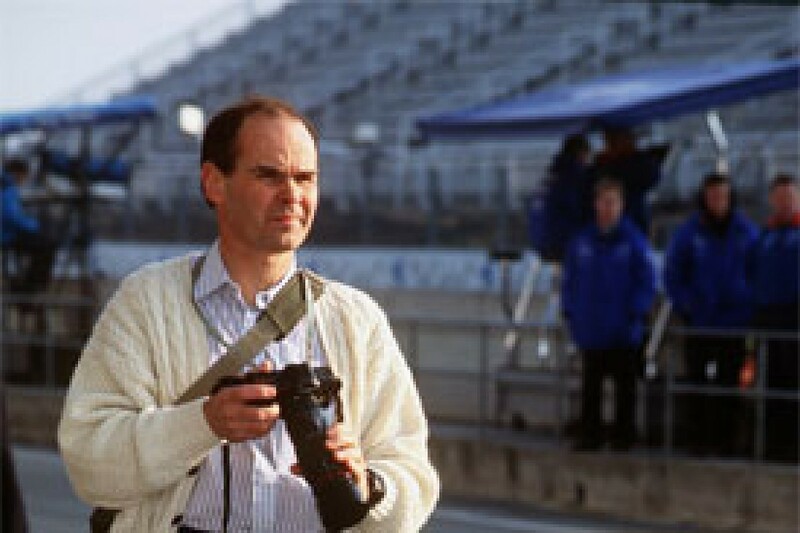 Toet had a huge ally in BMW Motorsport Director Mario Theissen, whose early career in Munich had been based around computer simulation. A further boost to Toet's vision was the fact that the team had just entered into a partnership with computer giants Intel - which provided the perfect platform for the project to be given the green light. Theissen says: "I have to say that I started my professional career at BMW 30 years ago as a computational engineer, on engine simulation at that time. The big difference (compared to real testing) is that you not only get results but you get an understanding of what goes on. "Simulation is all about physics, it is not just about observing. It is about modelling what happens, and really that gives us an additional benefit. It is crucial to understand why something is happening and not only to observe that it is happening." The end result of Toet and Theissen's vision was launched last month, as BMW Sauber unveiled their new supercomputer, named 'Albert 2'. Its innards will leave IT engineers salivating, but the decision to go with it marks the start of what could be a fascinating chapter in the history of Formula One car design. BMW Sauber already had a supercomputer in place, the original Albert, but such has been the development of computer technology in the three years since it was installed that a whole new machine was needed. Albert 2, powered by 512 Intel dual core processors, was only realistic because of the manner in which computer capacity has increased over the last few years. It is five times more powerful and three times faster than Albert. Able to make 12,288,000,000,000 calculations per second, it is the most powerful computer used in European industry and ranks number three in the world. If you add to the ranking worldwide military and specific research computers, then Albert 2 still makes the top 60. Powerful stuff indeed, and not bad for a machine that is just 10 metres long. 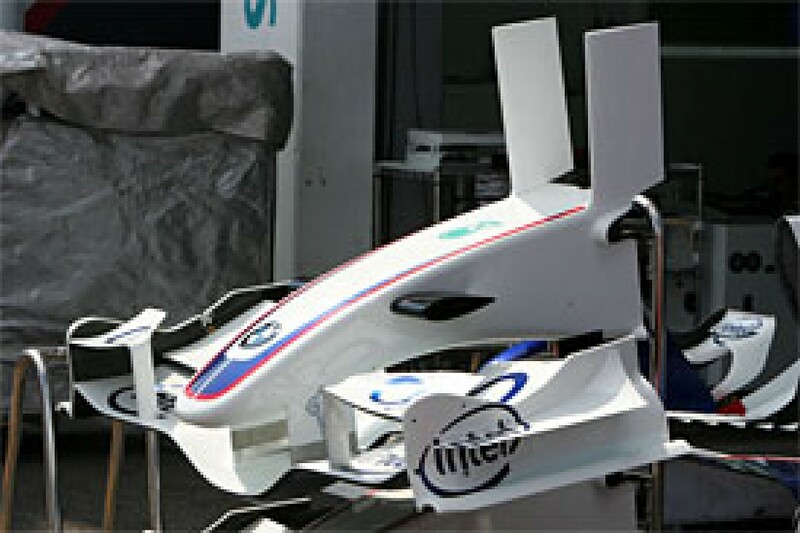 One of the key considerations for BMW Sauber's decision to go the computer route was the fact that major advances in F1 aerodynamics are now so difficult to obtain - even though the relative knowledge of how a car operates when at speed is bizarrely quite limited. Wind tunnel technology may have moved on at pace in recent years, with cars now being able to be rotated on several different axes, but still teams cannot simulate the actual forces experienced by a car when cornering. And that means making best use of how wings and tyres move under stress, and the affect that this then has on the car's aerodynamics, is hard to achieve. Then you also have to factor in weather and wind effects, plus the fact that cars slide under cornering - further affecting how the air flows over the body. 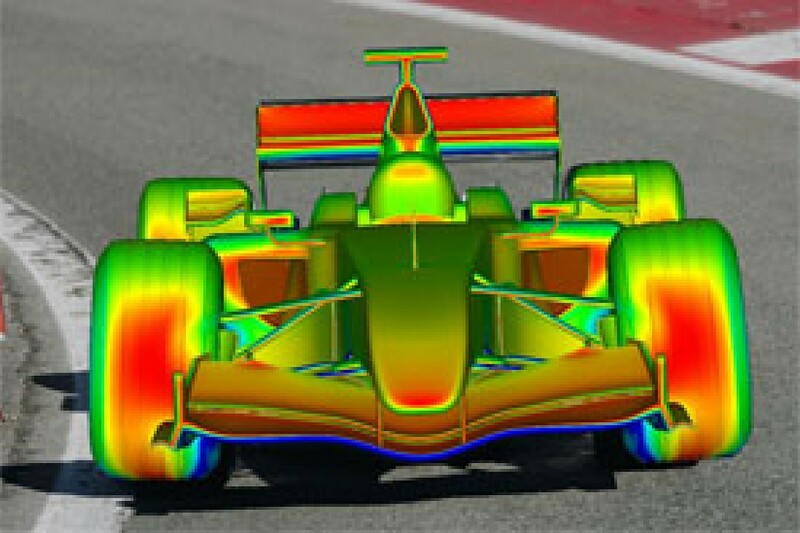 Autosport.com technical writer Craig Scarborough predicted last month, in an article covering wind tunnel and CFD development, that Formula One teams will inevitably have to shift some of their aero research towards computers, due to the limitations of wind tunnel results. Toet concurs. "We have failed so far in the wind tunnel to be able to simulate how a rubber tyre deforms at speed," he explains about one of the big limitations of wind tunnels. "You can make it perform vertically, but as soon as you try and get it to perform laterally then you are lost. You need to generate high friction forces to do that. "So I even said to Mr. Bridgestone, can you give me a tyre with one tenth of the vertical stiffness, one tenth of the lateral stiffness, and one tenth of the friction, and then we will have an exact replication? But they can't do it. They keep trying, though. "The real car also slides dynamically, and we (in the wind tunnel) can't simulate that - although the computational boys can. The technology is really developing there. "What we want to know is if we change the shape of a wing, at what point will it start to let go and operate inefficiently? It is the interaction between parts that is so important. We've got a lot of boxes where we are allowed and not allowed to put bodywork, and the appendages are all over the place because we are trying to control the flow in different ways. "What is surprising for us is that at the application level, the computers are coming out on top. The cost of computers is also coming down, while the cost of wind tunnels is going up. You are talking 100 million US dollars for a tunnel these days." Going the computer route was not that realistic until very recently. CFD first started out simulating very basic panel methods of air pressure in 1990, and by 1992 had advanced to being able to use 60,000 cells to simulate car parts. That number had jumped to one million in 1995 - just enough to create a very basic F1 car model. The breakthrough came in 2003, though, when computers were able to process cars made up of 30 million cells, and just two years later that had jumped to 100 million - more than enough to calculate a car and its components. By the end of this year, it is hoped that BMW Sauber will be able to utilise a car model made up of one billion - that is, 1,000 millions - cells, all interacting with each other. And it's not just the increasingly sophisticated models that are helping - it's the manner in which the computers can help. Toet saw first hand last year how computer simulation concepts can sometimes even go 'outside the box' when it comes to easier experimentation. "We keep learning from the computational results," he says. "There have been no shocks, but a few little tendencies and surprises have cropped up. The computers can give us a huge amount of information. "Last year we ran those 'Twin Towers' on the front of the car for one whole race (Magny-Cours), before they were banned. They came out of CFD but it wasn't a raw idea, it was studying the airflow and looking at what was happening to the air energy. "We saw that there was energy out the back of the car that we hadn't used. We felt that this was a complete waste. So we sat down and thought, 'how can we use it?' That is where things like that come from." And the future could throw up even more radical concepts - especially now that computer intelligence is at such a level that it can work out where the design of a car should flow to help with downforce levels - but stay within the regulations. "What exists now with the CFD is automatic optimisation tools, quite a few of them," continues Toet. "With those sorts of tools it is unlikely that a computer will put a part in a location where one doesn't exist today, but it will evolve them to within limits. And there is still room for the human to throw in ideas. "Those appendages (the 'Twin Towers') that we put on the car may have looked like a new invention, but it was just logic. We were throwing energy out of the car and we didn't want to do that. So what shall we do? It came from a normal process." It is not just in aerodynamics that computer simulation is going to assist moving BMW Sauber forwards. Toet claims that Albert 2 will help mould an even better 'Vehicle System Integrator', to help work out the consequence that one part of the car has on another - for example, how a front wing change could impact brake cooling, or how a driver's helmet can hurt airflow into the engine. More importantly, the computers are now easily able to predict air and fluid flow temperatures, which can be vital for factoring in radiator and cooling requirements in designs. The computer simulation route is not an economy option for BMW Sauber, though. 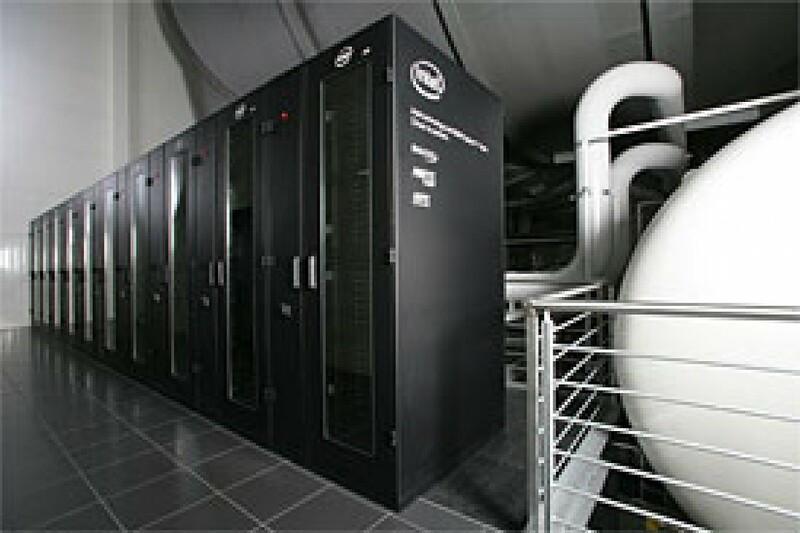 Supercomputers may not involve the massive initial outlay that comes from a wind tunnel, which can be as high as 40 million GBP, but you have to factor in the relatively short lifespan of the equipment and the fact that it has to have the latest, most advanced, and therefore expensive technology inside it. "It is certainly not cheap," says Theissen, who has refused to put a price tag on Albert 2. "But it depends on how you compare with a wind tunnel. If you compare on a number of runs basis, then it is probably as expensive as a wind tunnel. "But staff-wise it is more economic, because to do wind tunnel tests you not only need tunnel operators but you need model designers and model makers." Who knows where the future of CFD is going to go? As Intel and other IT companies come up with even more sophisticated chips to fit inside ever more complicated computers, the one billion cell models of today may well look simple in just a few years' time. But will the effort of developing ultra-sophisticated models be worth the results that they deliver? "It is quite difficult to put a number on how much more there is to come," says Toet. "Over many years of being involved in the development of F1 cars, you are balancing all the time the precision and complexity of the simulation that you do in wind tunnels and on computers against the rate of development. "As an example, in the wind tunnel, with every single component that you check, do you test heave sensitivity, pitch sensitivity, steer sensitivity, yaw sensitivity and cross-wind sensitivity? Do you do all those things and test less components, or do you test only in a straight-line and test more components? "Those different philosophies have won in different championships in different years. In the mid 1990s, the philosophy that won out was the simple straight-line testing, the McLaren route at the time. "McLaren were doing very simple straight-line tests - they were doing pitch and heave, but they did not do significant tests. Ferrari, competing with them, coming second in the mid to late 1990s, would do more testing in yaw and steer, and lost out on a rate of development curve. "That same balance is true of every type of simulation. You have to balance the precision of the simulation with the rate at which you can do your simulations. It applies to the number of cells you put into a simulation and how much energy you put into creating the grids." Computer technology is also unlikely to ever reach the level where wind tunnels are going to be obsolete. 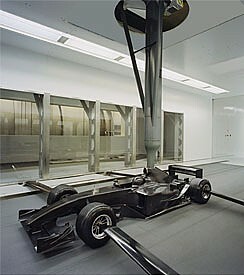 It was obvious that BMW Sauber's decision to push hard on the simulation front was made easier by the fact that they already had a pretty decent wind tunnel facility in Hinwil. "I think you will always need wind tunnels for several reasons," explains Theissen. "You always have to do validation. You might make two, three or even 10 steps in simulation, but then you have to check you are still on track. "So you always need complementary results of simulation and experimental work. Even if computers become much more powerful than they are now, there will always be things that you can do easier in the wind tunnel. So the best approach is to go for a combination of both." There is also another reason why spending on more wind tunnels may not be too wise at the moment. The sport's governing body, the FIA, is keen to cut costs in F1 and has made no secret that one way of doing so may be in limiting teams to just a single wind tunnel. Such a scenario would leave BMW Sauber with a big advantage over those teams who have pursued the 'more wind tunnels are better' approach until now. "I think if you ask the FIA how will you police the use of supercomputers in the future, the only way is for the governing body to do so will be to supply the bodywork," says Toet. "Just monitoring our use of supercomputers is impossible - how do you do that? That is very difficult to do." What is clear from BMW Sauber's decision to go the computer route is that the team management is not afraid of pushing the envelope a bit. After all, these were the same decision-makers that kept a former world champion waiting to confirm his contract 12 months ago; parted ways with that champion mid-season because they wanted to try out a Polish rookie; and then slotted in place a very young tester to replace him. And which team pushed F1 flexi-wings rules most to the limit of the regulations last year? Theissen smiles when asked if his team are deliberately trying to do things a bit differently in F1. "Yes," he says. "If you want to catch the big players, the experienced players, the established ones, then you have to think out of the box. If you do everything like they do it, then in the best case you will only close in."